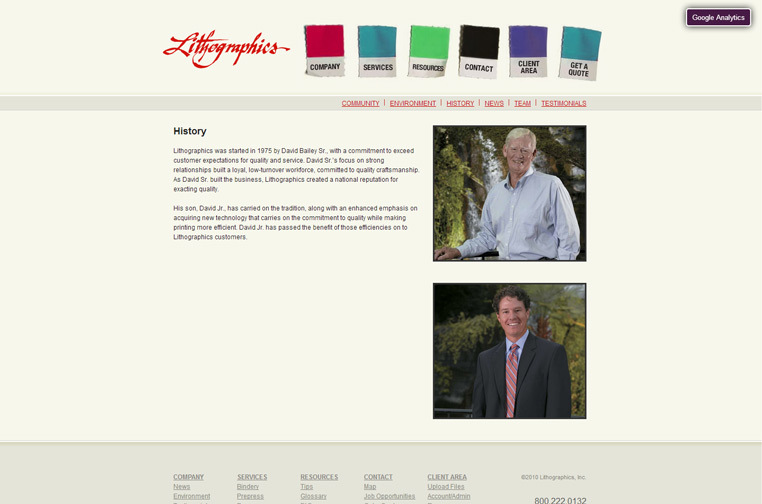 Update Lithographics web presence as a technologically advanced printer but still maintaining its reputation for best quality. Establish two user experiences: One for older experienced print buyers who desire quick access to Lithographics capabilities, upload files and automated prepress information. 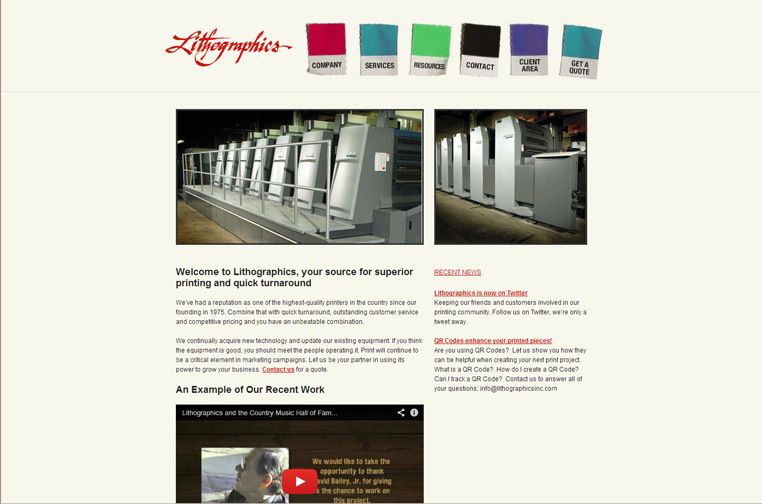 A second for younger less experienced print buyers with a glossary of print and printer terms and access to Lithographics’ “Printers Check List.” Additionally, utilized social media to create a dialog with younger print buyers/designers who have little or no prior print experience. WordPress for client maintenance of site.